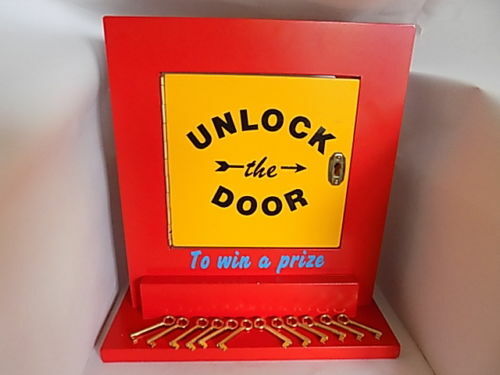 Players can choose any 3 keys from the bag provided, if any of the keys unlocks the door they win a prize! Sign written door, frame and a bag of keys. Game is 14.5” high with base of 5.5” x 13” wide. This is a table top game.